A recent decision by the Asheville Convention and Visitors Bureau to name a New Orleans ad agency as its agency of record has, once again, stirred ire among some local critics of the move. The Asheville CVB hired Peter Mayer, an agency a CVB spokeswoman said has the negotiating power to make big media buys and the infrastructure to adhere to strict payment requirements for those buys. Both issues can be difficult for smaller agencies, said spokeswoman Marla Tambellini, who added that the CVB hires a number of Asheville-based freelancers and companies for work. Asheville has some of the most talented people in the world. Many of which would give PM a run for their money, or school them outright on what makes Asheville, so amazing. Peter Mayer is proud to announce that we have been named agency of record for the Asheville Convention and Visitors Bureau in North Carolina. Asheville, the jewel of the Blue Ridge Mountains, was recently featured on USA Today’s “Best Summer Weekend Escapes” list, and we had the opportunity to experience that firsthand. In mid-July, even before we were officially on board, the agency sent nine team members on a trip to Asheville to immerse themselves in the city’s unique culture and natural beauty. The group enjoyed the fabulous craft beers and bluegrass music; restaurants that serve inventive farm-to-table cuisine inspired by Asheville’s unique Foodtopia community; an audio tour of the magnificent Biltmore Estate; outdoor activities such as zip-lining, watching artists and craftsmen at work in the River Arts District; and discovering the rich cultural, literary and architectural history of the area on a trolley tour. The afternoon our team spent at the Grove Park Inn (ranked a “Top Twenty Resort Spa” by Condé Nast Traveler) wasn’t too shabby either. Initial work for Asheville will include the development of a comprehensive brand strategy and a new awareness campaign, as well as a themed holiday campaign. Peter Mayer has a long and successful history of working with national tourism clients, from lodging and cruise companies to compelling destinations and attractions. Asheville fits that profile perfectly. Condé Nast Traveler named Asheville one of its “Friendliest Cities in the United States.” We agree and are delighted to begin our marketing partnership with this truly magical place. As you may know, the CVB uses an extensive number of local providers including freelancers, photographers, artists and locally produced product for use in events (Food Blog Forum, 48-hour Meeting Experience etc.) and as amenities for meeting planners and media. For the past several years, we have expanded our retainer contract with a local video production company and have worked with several local agencies on significant marketing projects. During the agency review process, we sent an RFP to all of the local agencies. Several made it through various rounds of the process. However, the media buy is significant and BCTDA financial policies require an agency to be able adhere to strict payment requirements that prove difficult for smaller agencies. Additionally, BCTDA wants to ensure strong negotiating and buying power on a net media basis to maximize the buy. This can be challenging for smaller agencies that aren’t purchasing significant media. All of BCTDA’s agency contracts are for one year. At the conclusion Mullen’s contract, BCTDA chose to hire Peter Mayer, a finalist in the review process and an agency that provides extensive destination experience. I don’t know much about the PM agency, so I can’t really say anything to that, and I’m not an all out CVB all out, but what if other cities said the same thing about hiring only local talent? Then our many WNC-based talented artists and agencies who do work for outside of Asheville wouldn’t have those big clients from elsewhere. Just sayin’. It’s absolutely ridiculous that the Asheville CVB goes outside our community to hire an agency from New Orleans. The last time they did that they hired a firm from Florida that gave us the brilliant tag line “anyway you like it.” The tag line made us sound like some mini Nevada house of ill repute. I never heard one person ever say it was good. I’ve heard many people think it was ridiculous. Asheville has tons of world class talent that talent is moving here in droves changing the face of the city continually. I think it’s time to make a rule that the tax dollars generated here STAY here and hire a local agency. REQUIRE IT or make the CVB crew come up with a legitimate excuse for why they don’t hire local other than the one given. You think maybe the CVB crew get to travel to New Orleans on “Business” while working with this agency? Please, it’s obvious what’s going on. They used “anyway you like it” to cover their bases because they didn’t really know what Asheville was about. I can only think that Peter Mayer and the Asheville CVB do not really believe in Asheville’s creative potential. Maybe they should be move to New Orleans. Look at all that talent! Beating drums in Pritchard Park! OK, we get it, Mr. Irony. But lay off the drum circle. Big Al like drum circle. Big Al no like drum circle haters. I have to say that as a former graphic designer the petermayer.com site is not that impressive. The work I saw was pretty mediocre. 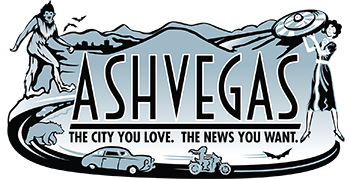 Does Asheville really need anymore advertising to get people to come here? We seem to have more than enough as it is. Get people to visit the smaller surrounding towns that need it more. My guess is most folks who are opposed to this hire aren’t seeing the full picture. Yes, Asheville has plenty of talented creatives who can make a clever commercial, build a website or design a gorgeous print ad. However, I’m unaware of anyone here on the level of PM or Mullen. For a city dependent on tourism, I completely understand wanting to have your bases covered with a high-level firm. Media buying capabilities are influenced by volume and reputation and it’s completely reasonable for the city to want to spend their money wisely and efficiently. I absolutely agree that Asheville can’t be grasped in one visit, and there may be some inauthenticity there, but, ad agencies operate this way all the time. My question is, this same issue came up with Mullen, and now they’re off the project, so I’m curious to know how that went, why they’re not staying with them. We are seeing the full picture. Peter Mayer is not. He is short-sighted just like when California bought a bridge from China. The issues are lost tax revenues, talent, and the Local Multiplier Effect (LME). Invest in our talent here and pretty soon we’ll be in charge of New Orleans’ advertising. Peter Mayer has nothing to be proud of. I’ll be proud to replace him with someone who will use local agencies. Hey c’mon, they visited here and spent a whole damn afternoon at the Omni Resorts Grove Park Inn. Doesn’t that make them invested in our community? The more this stuff gets outsourced from the WNC area, the less ‘real’ the picture of Asheville becomes for outsiders. Asheville has, and will continue to become, more of a ‘product’ than a ‘place’, and it stinks for those of us who have been here long enough to see this transition, and know how much more the city offers beyond what keeps making these damn Top 10 lists every week. Wage inequality, underemployment, etc. will continue to get whitewashed and swept under the rug, as will the true depth of the arts scene and more.